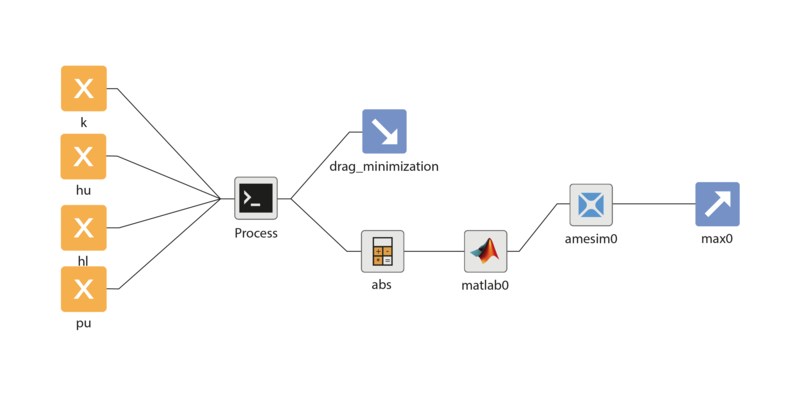 In KIMEME you can describe arbitrarily complex project workflows by means of simple and intuitive graphic data flow. Each node represents a source, a process or a sink, and all data are exchanged automatically among the different process. Moreover each simulation is automatically handled by KIMEME. Dependency, execution order and simulation files are automatically exchanged among processes, in order to avoid manual errors when several runs are executed. KIMEME includes a test procedure to verify each aspect of your simulation workflow. KIMEME has a Multi Document Interface (MDI), thus it is possible to work on several projects at a time and execute multiple analyses and optimization tasks in parallel. 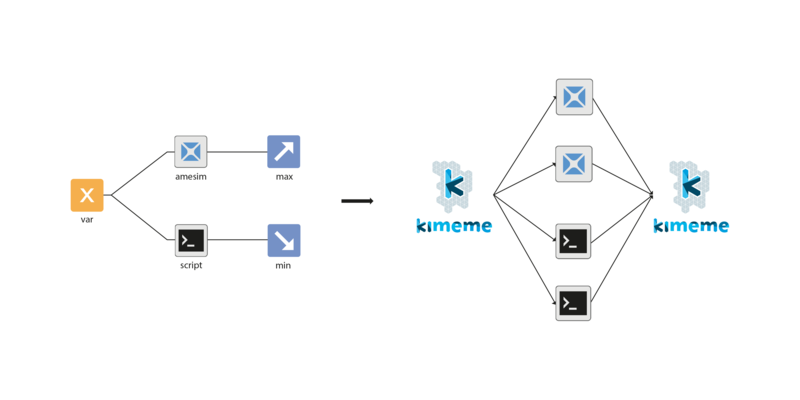 KIMEME is based on a sophisticated multi-core and distributed computing technology. Simulation runs can be parallelized both at graph level (i.e. each entire workflow is an independent thread) and at process level (each process node is executed asynchronously when all needed data are available). All computed results are kept in memory to avoid running the same process with the same input data twice. This feature guarantees the maximum throughput from your computating facilities.